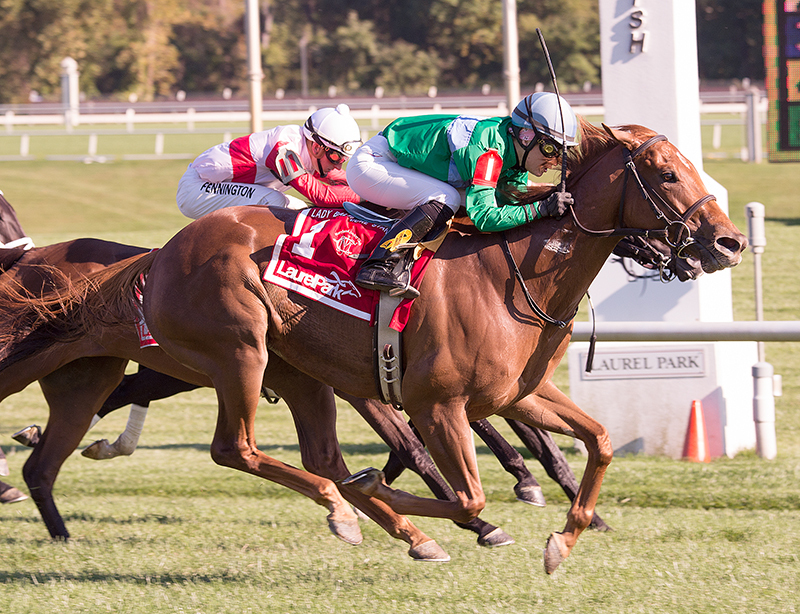 Winner of the Lady Baltimore Stakes at Laurel Park on September 27, 2014. 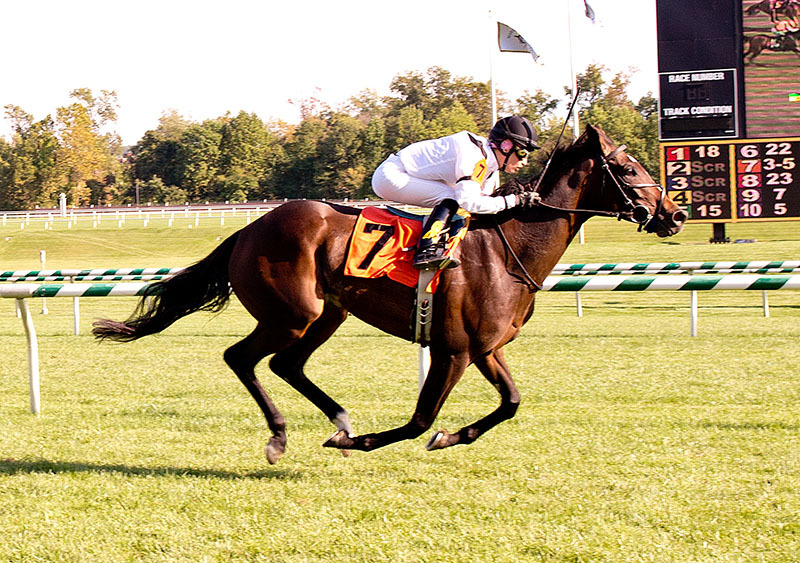 Winner of the Eatontown Stakes at Monmouth Park on June 21, 2014. 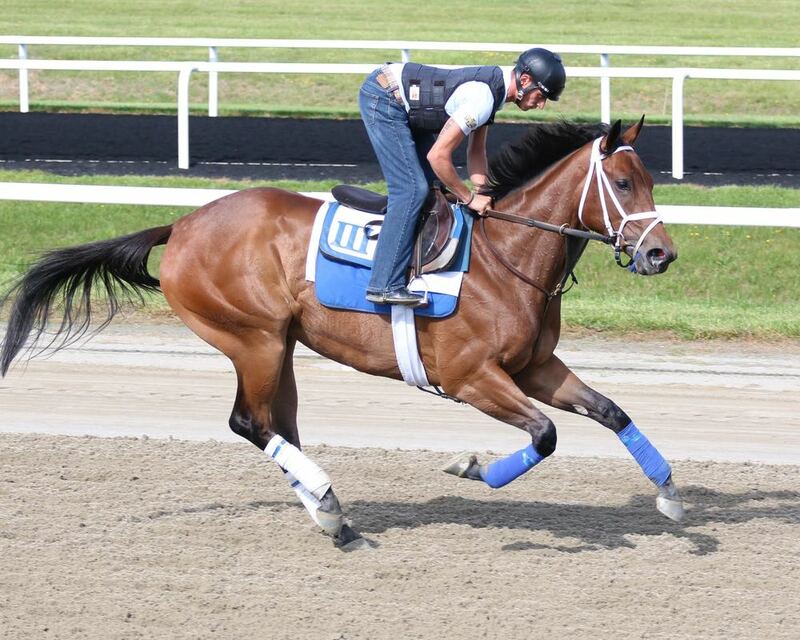 Winner of the Virginia Oaks Gr III - 10th Running at Colonial Downs on July 13, 2013. Forest Boyce exults after winning the G3 Virginia Oaks on July 13, 2013 at Colonial Downs. Photo by Nick Hahn.